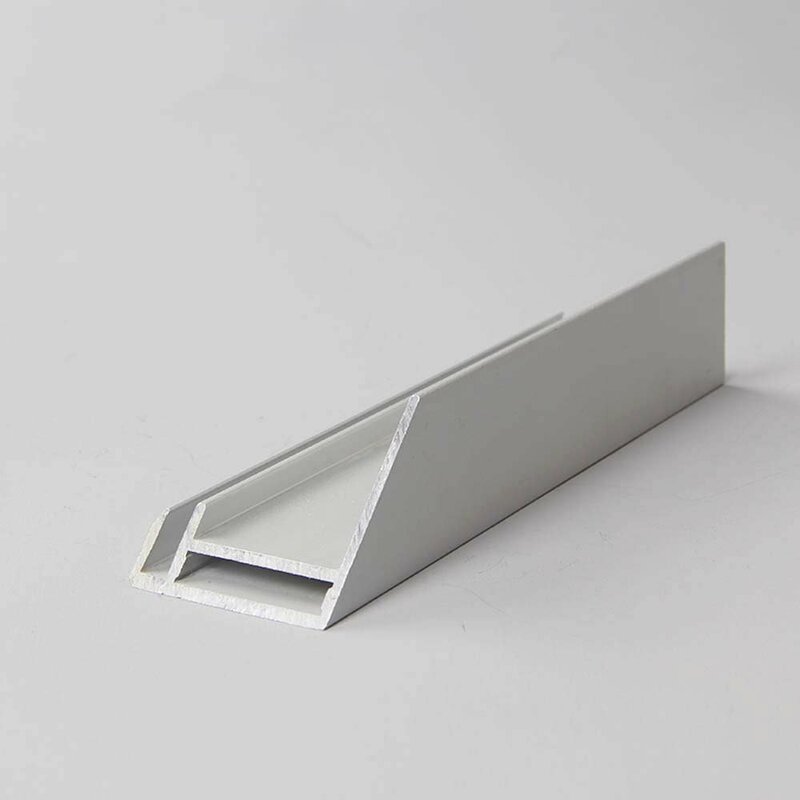 Wellste cutting Aluminum extrusion is an in-house service that can save your whole purchasing cost. Wellste imported 4 sets full-Automatic double head saw cutting equipment named WEGOMA brand, WEGOMA Cutting machine is commonly suitable for Solar Photovoltaic Modular Industry to keep solar modular Frame length’s precision, furthermore, Wellste also has 1sets single head saw cutting equipment and 2 sets automatic corner cutting machines, special for cutting small Aluminum Extrusions. 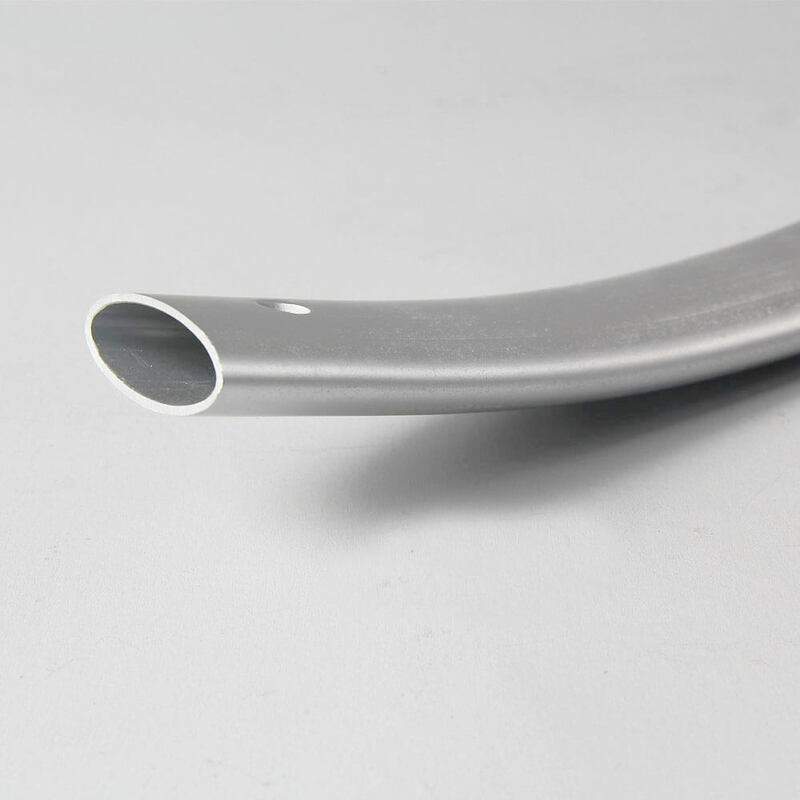 Wellste cutting aluminum extrusions keep very highly strictly length tolerance, it is relying on our advance cutting equipment and Wellste qualified inspectors. Wellste cutting Aluminum extrusions will be randomly measured by precision instruments every 10 minutes, it can maintain cutting Aluminum extrusions lengths accurately and won’t have any mistake on cutting production. WellsteadoptsWEGOMA cutting machines to cut if the specific length more than 400mm/15.75’’, that we can control the tolerance range within +/-0.1mm, compare with a traditional cutting machine, WEGOMA is readable digital display with double saw heads cutting. If your required length less than 400mm, we will adopt full automatic corner cutting machine, the tolerance range also can be controlled within +/-0.1mm. 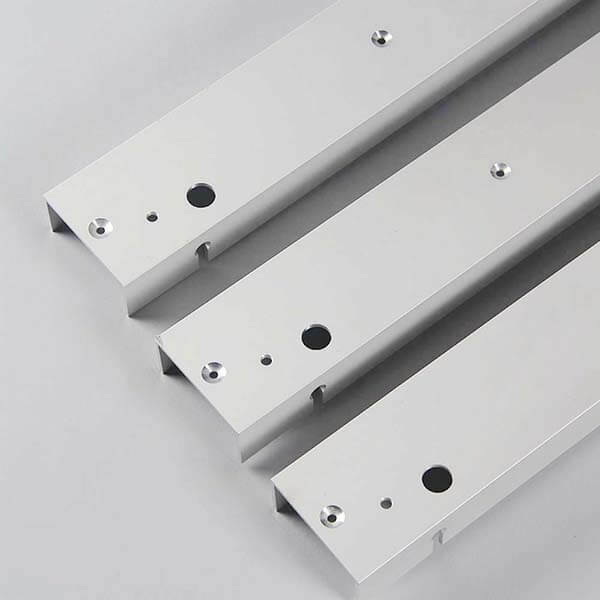 Though each long bar profile will have 200mm length fall off, Wellste engineer can make press Jigs to cut at all, It can increase your finished goods rate. 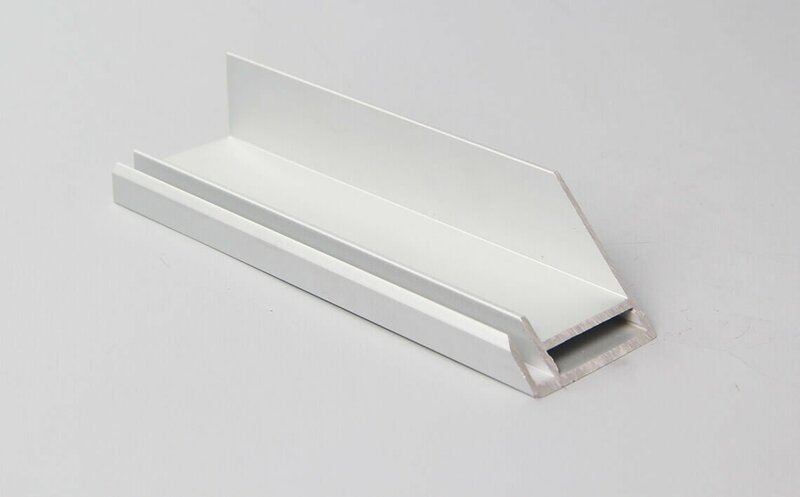 Wellste Cutting aluminum Extrusions comply with GB/T 1804-m, it equal to ISO 2768-m. Wellste cutting Aluminum extrusions vary 10mm to 4000mm with Angled 90 Degrees, also support Angled 30,45,60 Degrees cutting or any angle degree, Wellste can cover mostly for you in one-stop production solution, not only including cutting but also surface inspecting, assembling and finally packing. 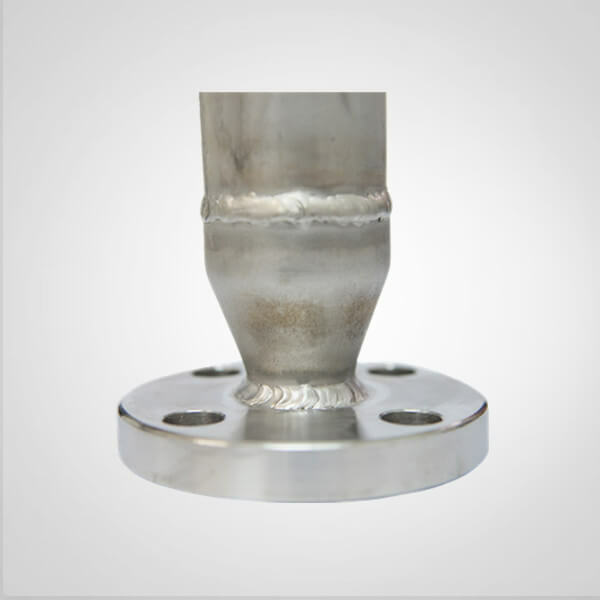 Wellste owns full Aluminum Fabrication facility, including 8sets precision cutting machines, we also have punching press, welding machines, CNC and more… Wellste engineer knows what is an important factor and how to meet what you exactly want. 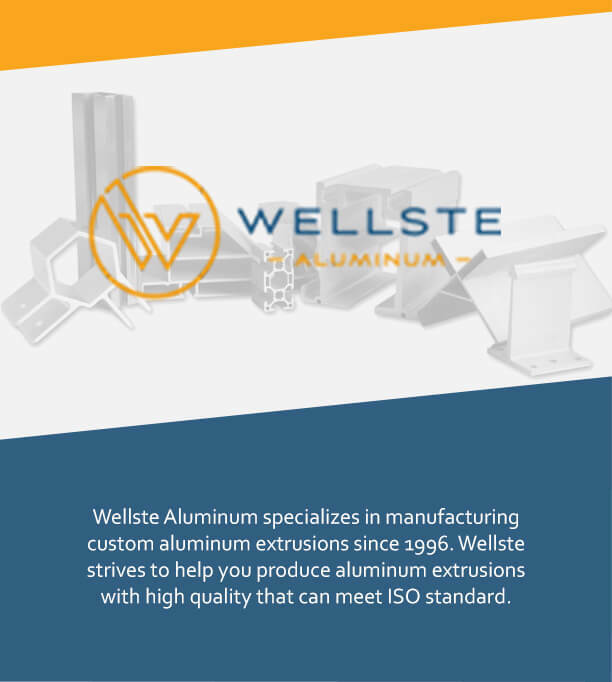 Wellste will optimize Aluminum Fabrication procedure and make ideal precision Aluminum Extrusion Parts for you. Contact Wellste support teams and get a custom quote today.